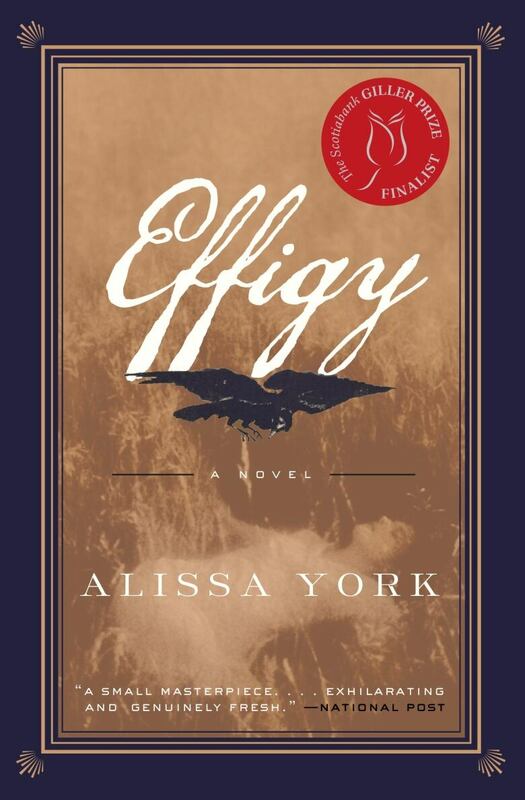 Alissa York's novel follows a teenage girl who has been married off to a renowned polygamous hunter. Dorrie, a shock-pale child with a mass of untameable black hair, cannot recall anything of her life before she recovered from an illness at seven. A solitary child, she spends her spare time learning the art of taxidermy, completely fascinated by the act of bringing new and eternal life to the bodies of the dead. At fourteen, her parents marry her off to Erastus Hammer, a polygamous horse breeder and renowned hunter, who does not want to bed her. The role he has in mind for his fourth and youngest wife is creator of trophies of his most impressive kills, an urgent desire in him as he is slowly going blind. Happy to be given this work, Dorrie secludes herself in her workshop, away from Mother Hammer's watchful eyes and the rivalry between the elder wives. But as the novel opens, Hammer has brought Dorrie his latest kills, a family of wolves, and for the first time in her short life she struggles with her craft, dreaming each night of crows and strange scenes of violence. The new hand, Bendy Drown, is the only one to see her dilemma and to offer her help, a dangerous game in a Mormon household. Outside, a lone wolf prowls the grounds looking for his lost pack, and his nighttime searching will unearth the tensions and secrets of this complicated and conflicted family. Standing in the open barn door, Dorrie peers out across moonlit pasture, marking their steady approach. There's no mistaking Hammer, squat as a chopping block astride his giant black mare, his boot heels bouncing even at a walk. Behind him, the Tracker glides. It's a trick of the dark — the Paiute guide puts one foot in front of the other like any man. Seven years on the ranch, and he has yet to take hold of a horse's reins. When distance demands, he mounts up behind Hammer. When given the choice, he walks or runs. From Effigy by Alissa York ©2007. Published by Vintage Canada.